In my local chemist not long ago I stumbled across a new makeup brand that I had never seen before. So I picked up an information booklet to find out what they’re all about. And couldn’t help doing some swatches of the beautiful products before heading home! Turns out they are farmed by Moo Goo a popular Australian skincare brand. 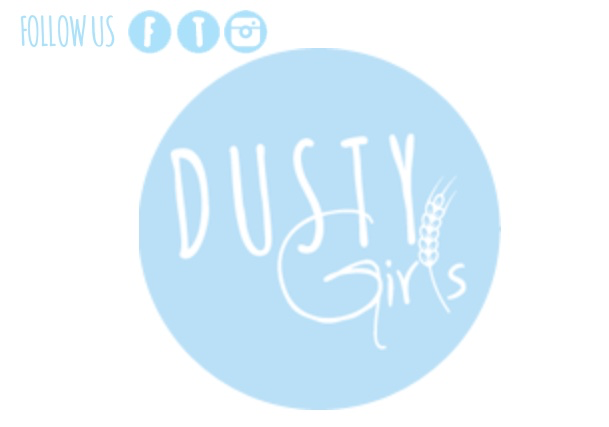 They’re name is Dusty Girls. A natural mineral makeup range made to let your skin breathe. With no added nasties the brand prides itself on using healthy alternatives. 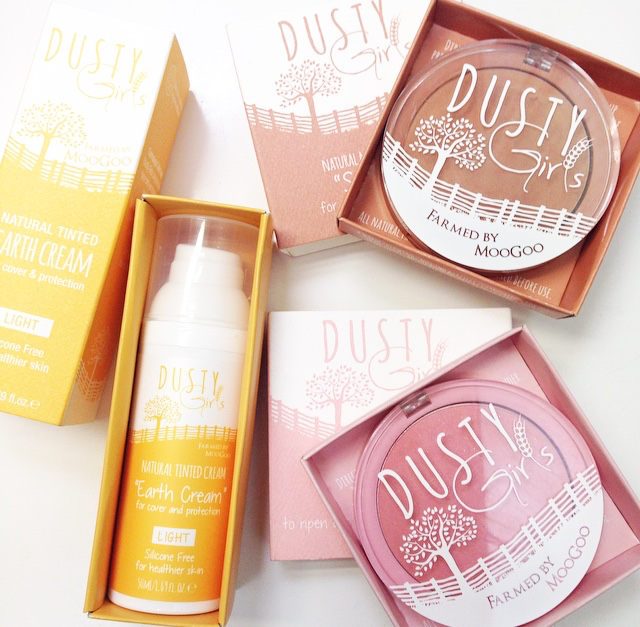 I was lucky enough to be sent the Tinted Earth Cream, Pink Ladies Blush and Sunshine Bronzer to review! And let me tell you I couldn’t get these on my face fast enough! 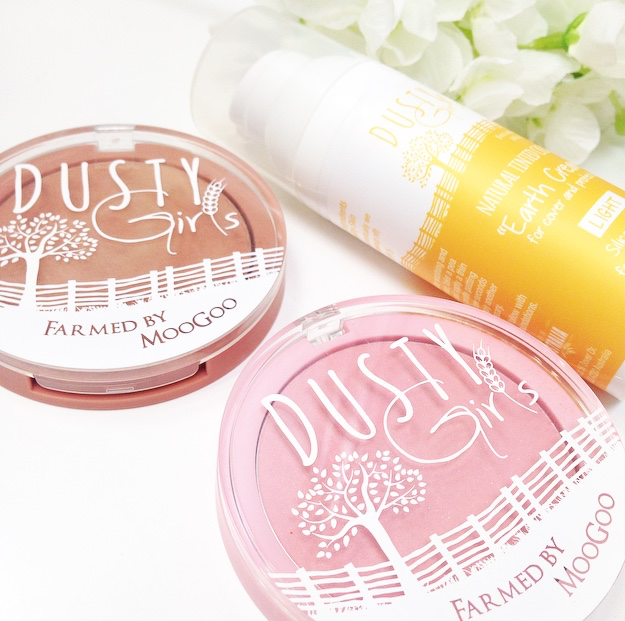 The first thing I fell in love with from this brand was how gorgeous the packaging was! Made from recycled cardboard each product had its own slide out box. With plenty of product information and directions on how best to apply the product. With many brands of foundation and BB creams on the market I was very interested to see where Dusty Girls ‘Earth Cream’ fitted in. Similar to a BB cream it gave light coverage while moisturising the skin. The natural ingredients help acne prone skin and give light sun protection. I used this cream on my no makeup days and as a primer under my foundation. The product felt great on my skin but I wasn’t a big fan of its Earthy smell. I’m a sucker for anything pink and I have a draw full of blushes. 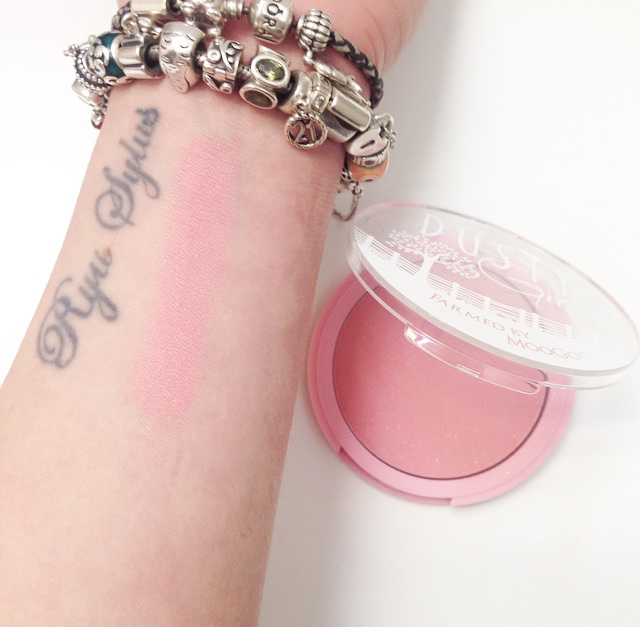 Though I have never tried a pressed mineral blush only loose ones. I Was surprised by how soft and blendable it was. The colour was gorgeous and could easily be built up from a light shimmer of pink to a brighter flush. It is now one of my favourites for everyday wear! 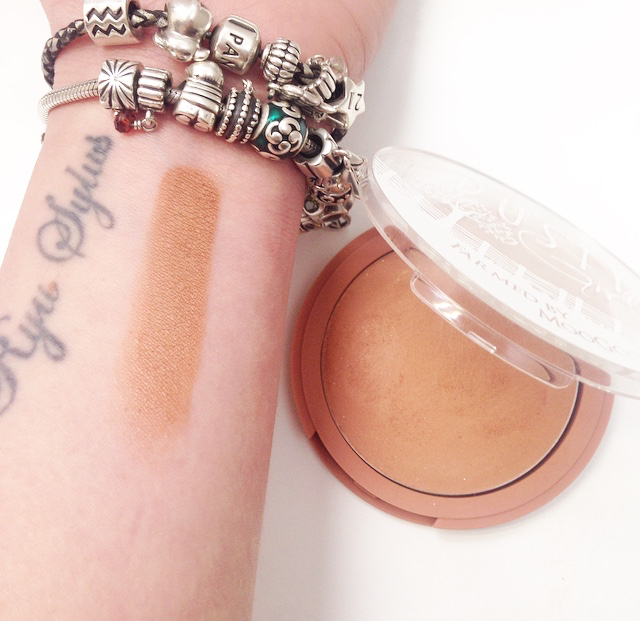 Everyone loves a sinkissed glow but often it’s hard to achieve the right shade of bronzer. 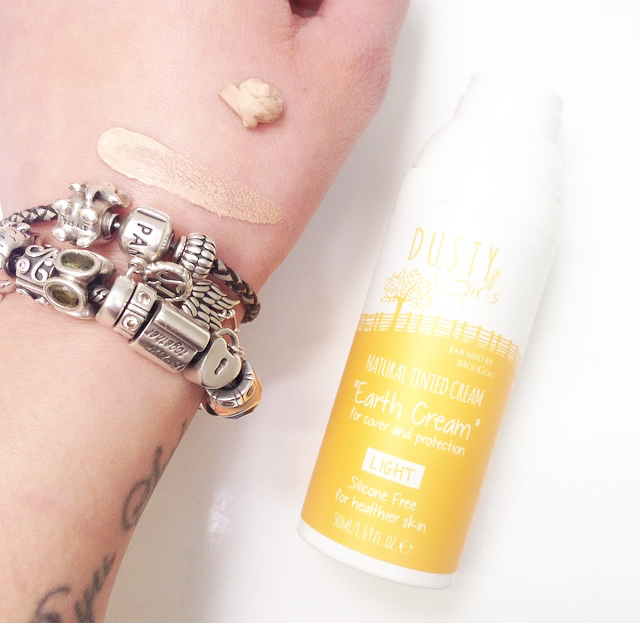 ‘Sunshine’ by dusty girls is the perfect bronze with only a subtle shimmer. It is perfect for contouring and adding a bit of definition to the face. With natural ingredients such as Jojoba and macadamia oil it feels good on your face. 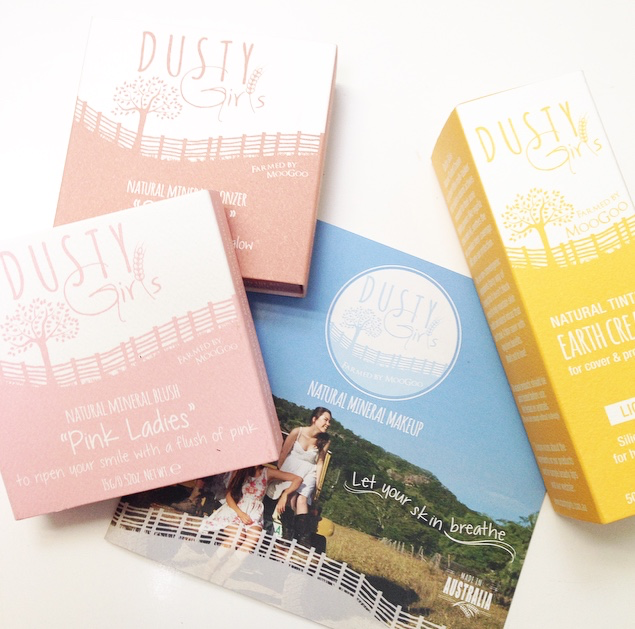 Dusty Girls products can be purchased online from their website dustygirls.com.au or from selected pharmacies. Be sure to checkout their Instagram page and remember their no.1 beauty tip – SMILE!